Joe has over 40 years of dental experience. He has been in practice in Clontarf since 1977. He obtained a Postgraduate Diploma in Clinical Dentistry from Trinity in 2001. 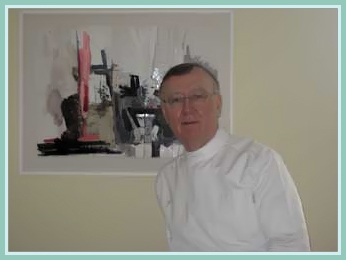 Joe is an active member of the Irish Dental Association, having served as Honorary Treasurer of the Irish Dental Association for several years and also as the President of the Metropolitan (Dublin) Branch. Joe regularly attends course and lectures to keep up with the latest developments. Laura has worked in both the private and public sector, spending a year as a Senior House Officer in The Dublin Dental Hospital 2006-2007. Laura is also an active member of the Irish Dental Association, having served as Honorary Secretary of the Metropolitan (Dublin) Branch for the past 2 years she is currently serving as President. Laura not only attends lectures and course regularly but also organises them, which keeps her on top of the latest developments in the field.